First Pres Gallery has been sharing a world of inspirational artwork with the community since January, 1968. There's something artful for all ages at First Pres Gallery. Sarah Savage and Patty Griest are proud of the platform First Pres Gallery offers to the community for religious and inspirational artwork. First Pres Gallery, situated alongside the theater at First Presbyterian Church, may be one of Fort Wayne's best kept art space secrets, and come January 1st, it will be 50 years old. To Patty Griest, the 1st gallery chair, and brand new chair, Sarah Savage, performing this labor of love, with the help and support of a very active committee of church members is very rewarding, adding that they work hard, but have a really good time. They also refer to the passing of the "chair" baton more as an exchange, since Sarah has been Patty's assistant over the years, and now their roles will be reversed. "Artists in the City," a special exhibition celebrating the gallery's anniversary, curated by Karen Thompson, will open this Friday. For a look at the gallery's origin, and the contribution it continues to make to the city's art scene, WBOI's Julia Meek invited Patty and Sarah into the studio to discuss the importance of religious art, and their own dedication to the cause. 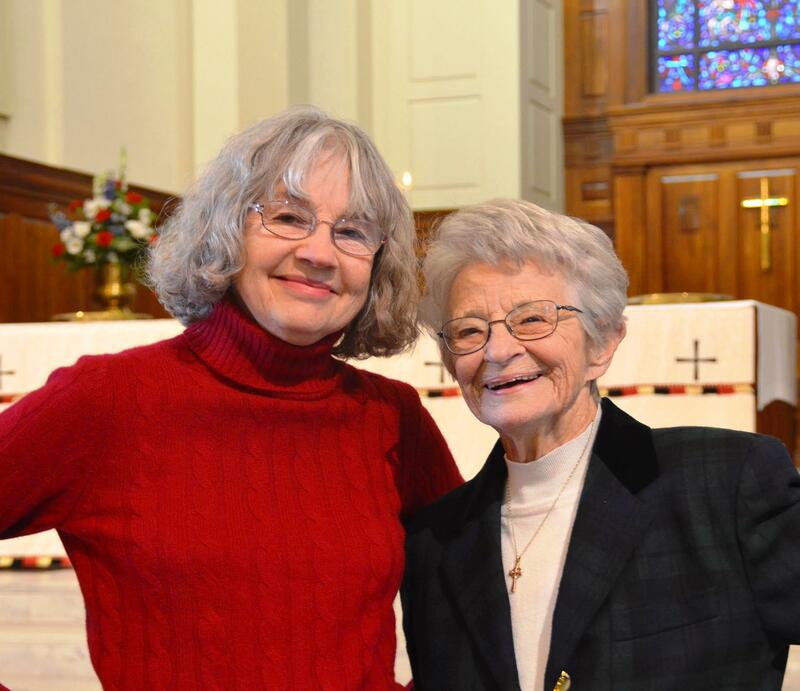 Listen to an extended version of Julia Meek's on-air interview with Patty Griest and Sarah Savage, on the fifty year history of First Pres Gallery. Gallery hours: weekdays, 9:00 a.m. to 5:00 p.m. Doors open on Wayne Street entrance at 5:00 p.m.
For more information, visit the First Presbyterian Church website. As Fort Wayne’s downtown riverfront activity continues to grow, Paris McFarthing and Ben Jackson are adding to the excitement, with a new business venture called Hop River Brewing Company. "In the Watershed: A Journey Down the Maumee River" is a brand new book by Fort Wayne native, Ryan Schnurr. Sixteen year old Addison Agen has been performing music here in Fort Wayne since she was two, in a variety of venues, including nursing homes, church, school, coffee houses, and even WBOI's Meet the Music sound stage. Now her platform has soared to national levels and beyond, as she advances as a contestant on NBC's "The Voice."